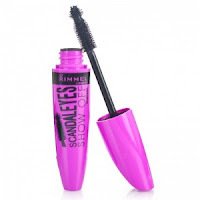 Get FREE Rimmel London ScandalEyes Show Off Mascara. Complete and submit the form as directed starting December 3, 2012 at 12 noon ET. If you are one of the first 500 people to reply, you will receive one (1) Rimmel London ScandalEyes Show Off Mascara (worth $6.99). One entry per person, household and/or e-mail address. Please allow 6 to 8 weeks for delivery. Note: Click “NO” to the magazine offer.